MC2 provides a hands-on sustainable solution to a complex problem– building a home away from home. Ring manufactures video doorbells that come equipped with security cameras and connect to an app that store and record the footage. Home security is the basis of Ring’s business, so it was natural to demonstrate the company’s products in a home environment. 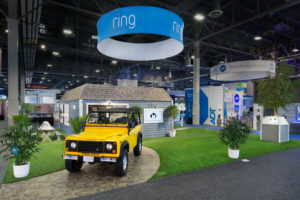 When Ring was ready to go to the biggest tech show in the world – the Consumer Electronics Show (CES) – MC2 built an actual house on the floor. The entire space contained a miniature home with roof, siding, front door, windows, landscaping with live trees, a patio, artificial grass, and an outdoor barbeque. 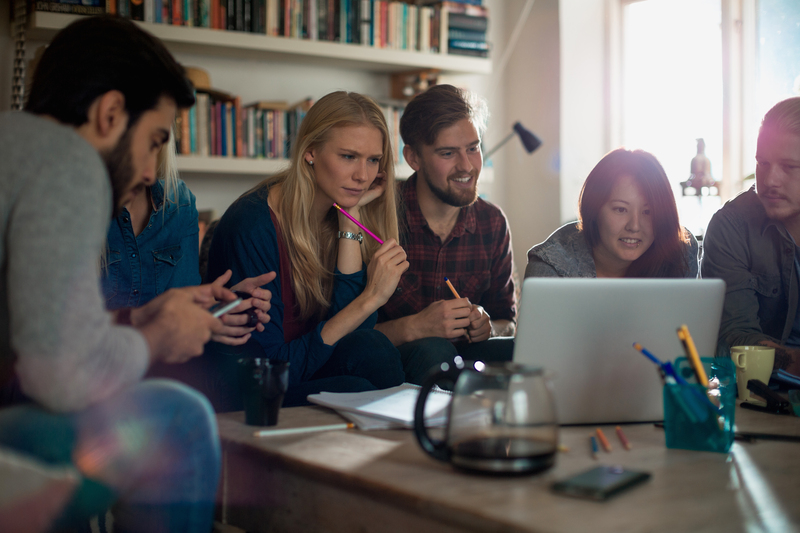 A façade version – like a stage set – was seen on Shark Tank in 2014 when founder Jamie Siminoff first pitched his idea for wireless home security. Following the success at CES in prior years, combined with the company’s signficant growth in revenue and consumer awareness, Ring executives requested to quadruple the size of their exhibit footprint, while creating a visually stunning backdrop for a scheduled interview with basketball great and Ring fanatic Shaquille O’Neal. We opted for a simpler solution. Keep it tiny, but pack it with history, artifacts, partnerships and demonstrations. Inside the house, Ring partnered with Samsung for a smart refrigerator in a demonstration kitchen and with Amazon for an Alexa integration with Ring’s smartphone apps. Then there was the garage where Ring had its start. 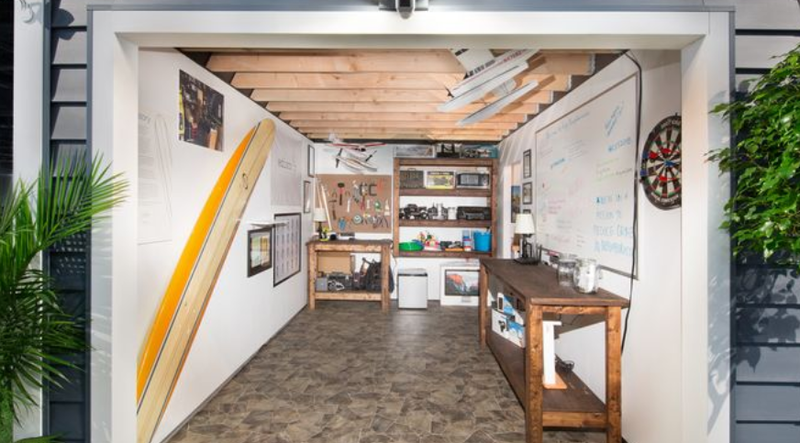 On display was founder Jamie Siminoff’s surfboard, his well-worn microwave and, just outside, his own Land Rover parked where it would have been when Ring was a concept not a $1 billion enterprise. Basketball great Shaquille O’Neal and Jamie Siminoff hosted a Q&A moderated by Bloomberg reporter Mark Gurman to discuss the future of neighborhood security. The crowds on hand for the Shaq appearance and throughout CES truly showed that Ring “rings true” with CES attendees. The stunning replica of a home that we built vividly captured the essence and innovativeness of Ring’s core product. 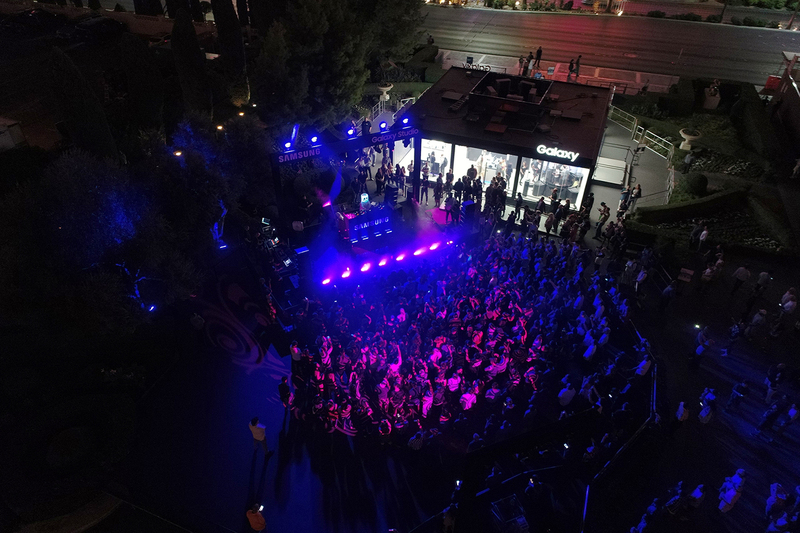 Whether complex or simple designs, we have custom solutions to amplify your next brand showcasing. 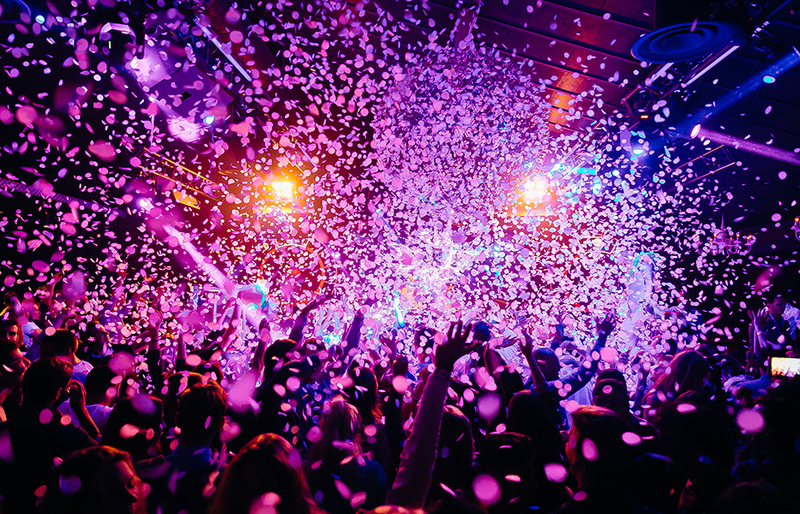 Drop us a note today and lets create grand experiences together. 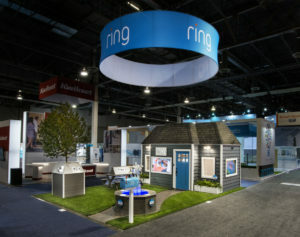 We received your request for “Creating a Home Away From Home Experience for Ring at CES”.